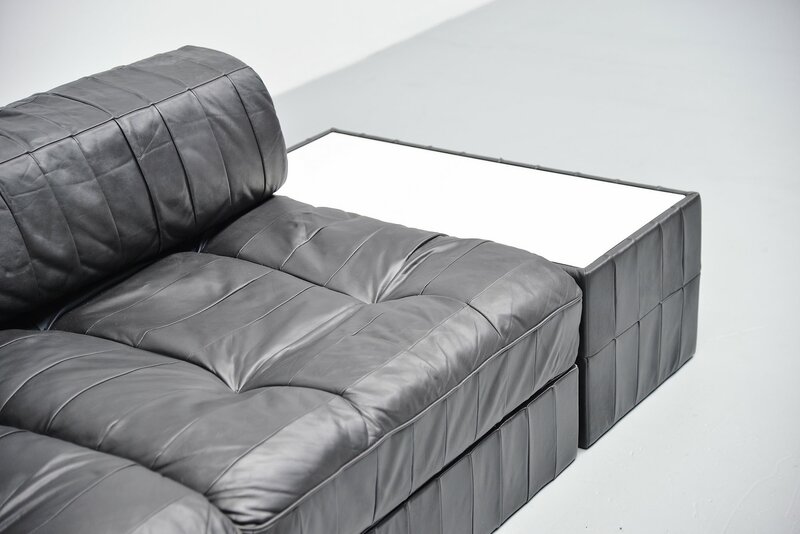 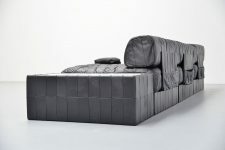 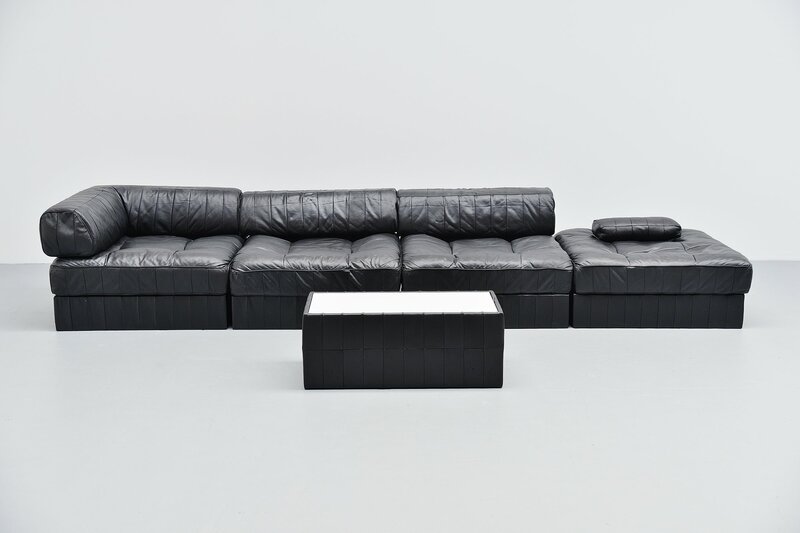 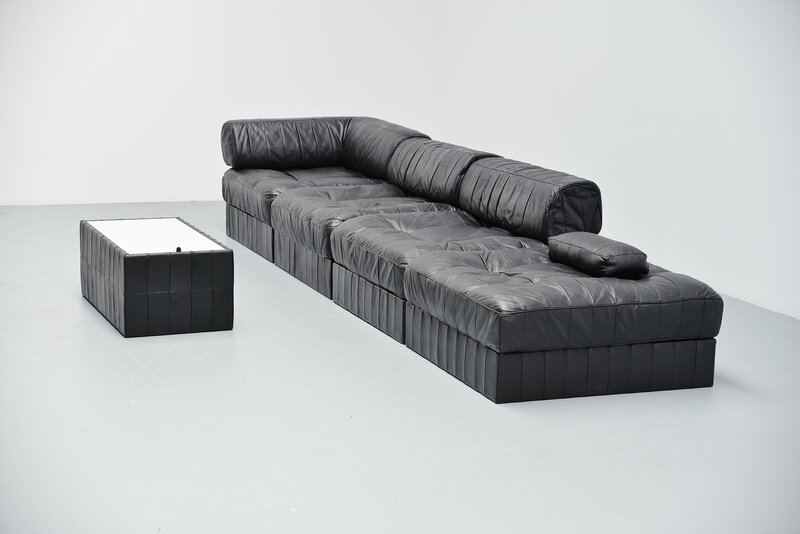 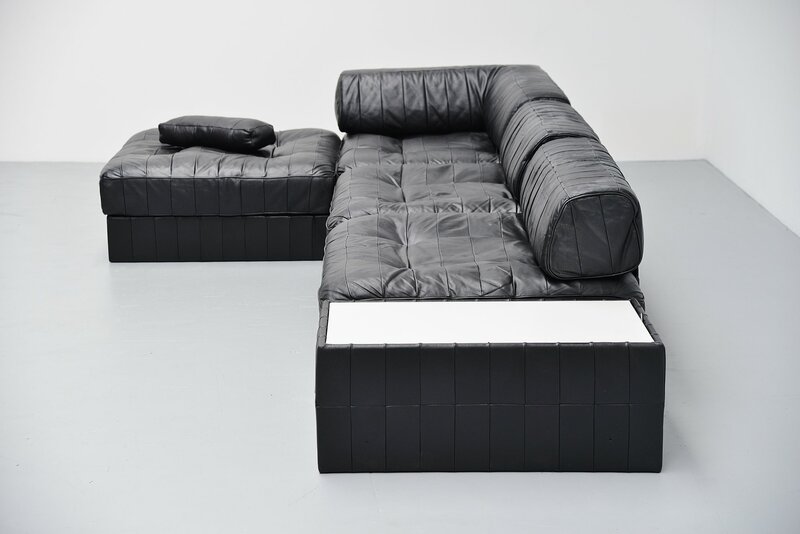 Fantastic leather patchwork sofa designed by De Sede team, Switzerland 1970. 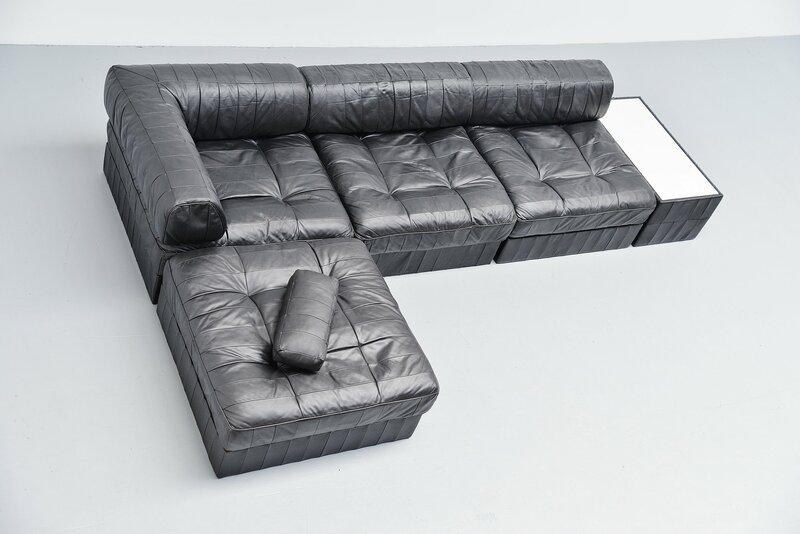 This black leather patchwork sofa looks amazing with all the patches in leather. This is a 4 element sofa with a small side table which can also be used as a foot stool as the top can flip, this can also be used as storage box. 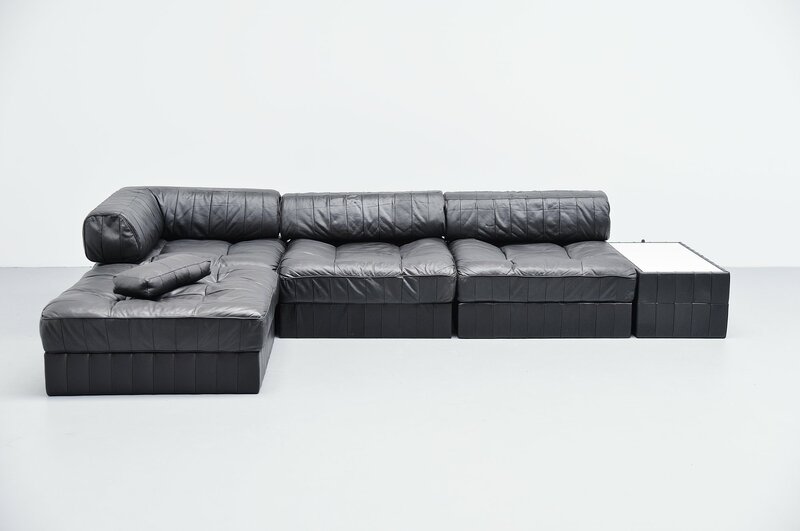 The sofa is in a very nice condition as this is fully recolored in black as it originally was. 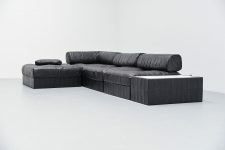 This modular sofa can be used in several different positions and seats very comfortable.